Coined the wild west in 1859, Old Colorado City has a rich and wild history. In 1977, Old Colorado City was designated a National Historic district. 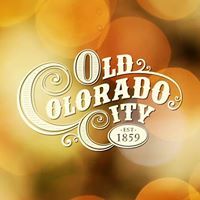 Today Old Colorado City represents the best in shopping, dining, art and entertainment while keeping the friendly, homespun flavor of the west. The still affordable homes vary from cute artsy cottages to stately Victorian mansions. There are even a few new homes being built on vacant lots. People living on Old Colorado City are drawn by is history, quaint charm and it’s proximity to Pikes Peak.